Hey folks! Nice to be joining a well organised, friendly forum! Hey all The name's Chris, im 22 and im from South Tyneside in the North East. 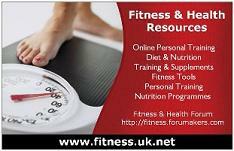 I have been searching for a forum dedicated to health and fitness where I can pick up hints and tips as regards to dieting and working out! I will start by telling you a little bit about myself. In my teens, I used to exercise on a VERY regular basis, by playing a lot of football, boxing training and going to the gym. I used to do a lot of running aswell and used to frown upon the thought of not being active. About 2 years ago, I had my appendix removed, which obviously prevented me from exercising for around 3 months. During that period of time, my motivation went down hill and I picked up bad eating habbits. I think i put on about 3 and a half stone in half a year (Used to be 10.5 stone - increased to 14 stone). I have a girlfriend, and she is gorgeous. I've recently felt not good enough to be honest, although she says im being silly. Anyways, enough of the lecture! Im currently 13 stone after a month of eating around 1200-1500 calories a day, all healthy stuff. Well, healthier than what I used to eat!! I've also joined my local gym, today infact, just came back from my first work out and im knackered!! lol. Over the next few months, I hope to get to around 11 and a half stone, but tone up in the mean time, like i used to be. The main reason as to why i have joined is that my knowledge on nutrition isnt the best, for example not knowing what foods to be eating whilst training and also what kind of foods I should be avoiding! Anyways, looking forward to chatting! Re: Hey folks! Nice to be joining a well organised, friendly forum! Welcome Chris and thank you for an informative first post - its nice to find out some background about our members. Please ask if there are any nutrition related questions you may have - the forum has really picked up recently and so I have asked the moderating team to monitor it daily for new posts as it is still a very young forum and growing all the time. What sort of routine do you follow when you goto the gym? Hello and thanks for the reply Garthy. Excellent news on the weight loss Chris. It always helps to keep motivation high when you can see the results. Start doing some light resistance training with machines or free weights - your body will beoperating at a higher metabolic rate for longer when you do resistance training as opposed to purely cardio training. This will also help to tone you up and improve the overall look of your physique. Vary your cardio training so you are working at different rates when you are training. For example, warm up for 5 minutes, then run fast for 2 minutes then walk briskly for 2 minutes, then run fast for 2 minutes and then walk briskly for 2 minutes and so on. This will get you exercising both aerobically and anaerobically which will also assist with the weight loss. Welcome to the forum. Congratulations on the great progress you have been making. Been a good month or so since I last posted on here! Since then, i am currently at around 12 stone 2-3 (so getting there!!) Mostly down to watching what im eating rather than frequent exercise! I've found having a smoothie in the morning kick starts my day and keeps me quite full until lunch time! I use fresh fruit, soya milk and low fat yoghurt. Very tasty! One thing im confused about, it jacket potatoes. Should I be eating these when losing weight?